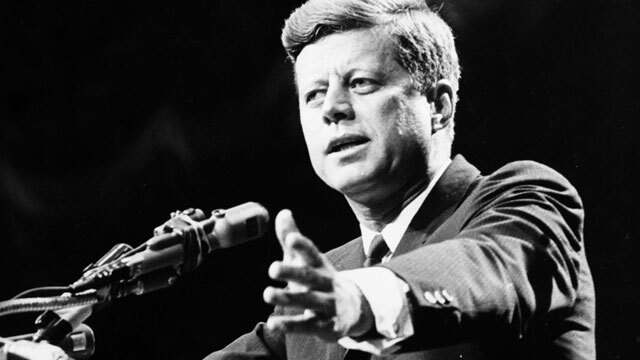 This video clip contains a portion of the speech that President John F. Kennedy gave at the Waldorf-Astoria Hotel on April 27, 1961. “The President and the Press” before the American Newspaper Publishers Association. “For we are opposed around the world by a monolithic and ruthless conspiracy that relies primarily on covert means for expanding its sphere of influence – on infiltration instead of invasion, on subversion instead of elections, on intimidation instead of free choice, on guerrillas by night instead of armies by day. It is a system which has conscripted vast human and material resources into the building of a tightly knit, highly efficient machine that combines military, diplomatic, intelligence, economic, scientific and political operations.